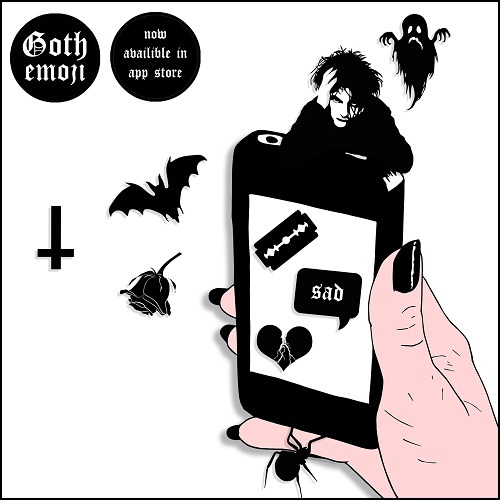 My little dark heart grew two sizes yesterday when I downloaded the Goth Emoji App via iTunes! Squeeeeeeeeee...it's an app that transforms your keyboard into an implement of darkness and despair, filled with gothic emojis designed by Lisen Haglund, with app development by Daniel Saidi. 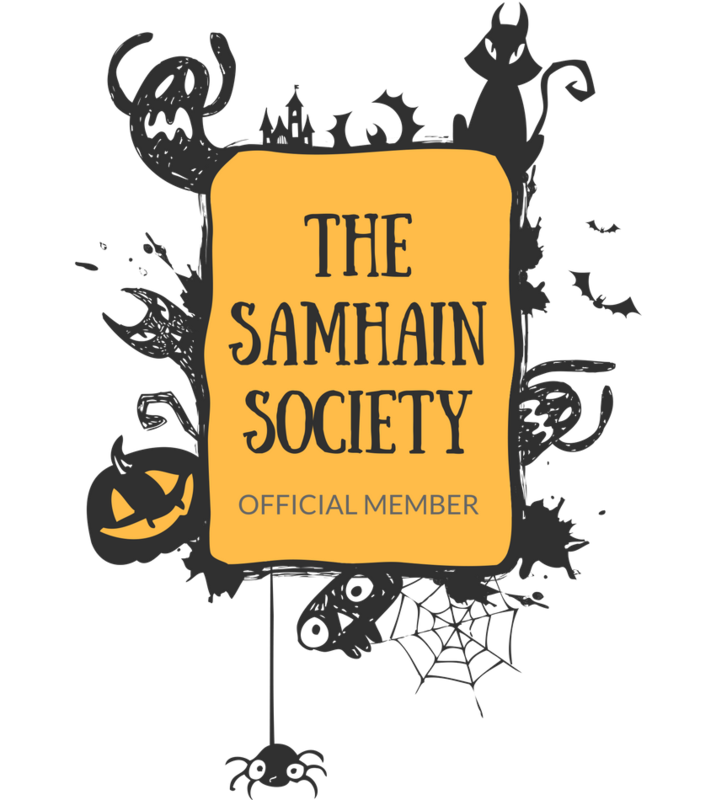 The delightfully dark designs include bats, fangs, ghosts, witches, black cats, coffins, graves, as well as goth food staples like coffee and pizza, plus morbid and mopey musical and movie icons like Robert Smith, Moz, Siouxsie Sioux, Christina Ricci as Wednesday Addams, Fairuza Balk as Nancy from The Craft and many others, plus symbols and creepy cute word bubbles that say "hate", "slay", "black", etc. 2015 was a decent year for horror, with lots of smaller independent films reigning supreme. I've written about my favorite horror films of 2015, but now I am looking forward to 2016 and the promise of the many horror movies it already holds. It's difficult to guess which films will be good this early in 2016, especially since many don't have trailers or release dates yet. However, I am optimistic for this year as there seems to be SO MANY horror films I'm looking forward to! I'm intrigued by these 2016 releases largely based on their plot descriptions, since there have been few trailers released for the many films mentioned below. Sweet Earth Natural Foods makes some of my favorite vegan products, from their Benevolent Bacon to their Big Sur breakfast burrito to their veggie burgers! 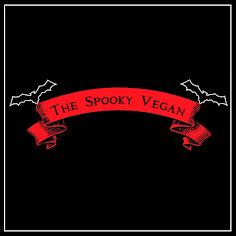 They are not a strictly vegan company (though all their vegan products are clearly labeled as "vegan"), but their vegan options are high quality and delicious, and I've never had a vegan product of theirs I didn't like! I recently tried one of their newest products, their Farmstand Flaxbread Vegan Breakfast Sandwich. It's made with their Harmless Ham, a spicy chickpea patty, and topped with a sundried tomato spread, all cushioned between two fluffy pieces of bread. I found it in the freezer section of Whole Foods. There are two sandwiches per package, which will set you back about $5.50. They are the easiest breakfast sammies to make - you just take them out of their wrappers, stick them in the microwave for about a minute and a half, and enjoy! 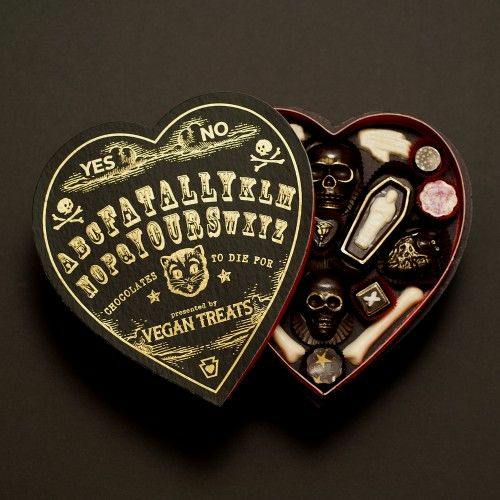 Last year, I was lucky enough to get my claws on the Fatally Yours Gourmet Chocolate Box for Saint Valentine's Day (see my dissection of the boo-tiful chocolate box HERE) and it was such a lovely, decadent treat! Who doesn't like to receive chocolate skulls, bones, coffins, and anatomically-correct hearts to devour on Valentine's Day?! My latest obsession? These brand new accidentally vegan mini churros from Trader Joe's! They just hit stores this January, and I'm already hooked! Though traditional churros are actually vegan and made with just water, flour, sugar, oil, and cinnamon, it's hard to find vegan churros at restaurants as they tend to add icky, unnecessary ingredients like eggs and dairy. So you can imagine how overjoyed I was to learn that these churros were accidentally vegan, hurrah! The only reason they aren't marked with Trader Joe's trusty vegan "V" label is because they can't guarantee that the sugar used is vegan, but unless you have strict views on sugar processing this shouldn't be a problem. I have a deep love and appreciation for cemeteries and graveyards. When traveling I make it a point to see if I'll be someplace with any cool cemeteries. I especially love old cemeteries with grandiose old tombstones and monuments, something you definitely don't see in the boring flat lawn cemeteries of Orange County. However, since I don't travel much I tend to live vicariously through the cemetery photographs of others, and one person I can definitely count on for awesome cemetery pictures is MissMuffCake, who roams the historic cemeteries of Northern California snapping photographs. She started a self-published zine called Cemetery Gates to highlight her cemetery trips, and each issue revolves around a different theme. I talked about Volume 1 here, and have now received Volume 3 to my delight! Full disclosure: I am very well acquainted with the musician Justin Rekt, as he happens to be Mister Spooky himself! That means I can appreciate all the hard work and long hours that went into creating this album, but even I am blown away by how incredible the songs on "The Monster" sound! The EP includes four songs of spooky synth sounds and eerie electronics, with catchy hooks that get stuck in your head. The songs have a synthwave/retrowavefeel with a little extra edge and bite. And even after listening to them many, many times, I still find them fresh and can listen to them again and again! And they are so versatile - I can listen to them to relax or to get pumped! It was written and produced by Justin Rekt, with additional production, mixing and mastering by Tony Kim of Dance With the Dead, and cover artwork by Daniel Bradford. Enough gushing, though, I hope you'll give "The Monster" a listen and consider purchasing it to support indie artists! You can find more info on Justin Rekt and his music by checking out his Bandcamp, Instagram, and Twitter! 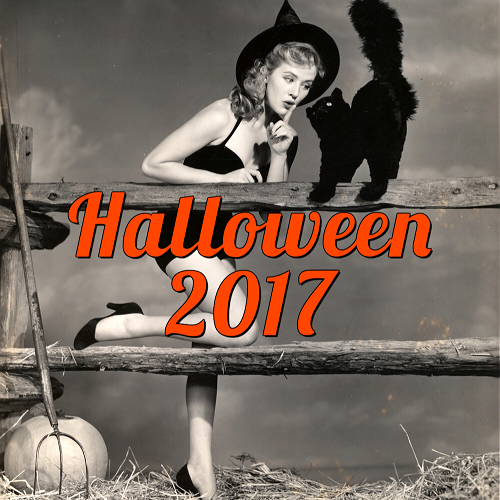 Wow, was this ever an eventful week, full of both sorrow and elation, encompassing a wide array of topics, from deaths to new vegan places opening up to new horror movie trailers to starting to prep for Halloween! There was so much going on that I've shared across so many different social media platforms, that I wanted to gather it all in one place and share it all at once. There has been so many celebrity deaths lately, but the two that really stood out for me on a personal level have been Angus Scrimm, best known for the role of Tall Man in the Phantasm movies, and Alan Rickman, most beloved for his Severus Snape role in the Harry Potter films (but he was amazing in so many other films). The passing of these two really hit me in my gut, and I'm still processing my grief over two gentleman whom I never knew but admired greatly. Scrimm I was lucky enough to see in person at a Fangoria convention several years ago, and he was so charming, sweet, and funny! I'll always cherish that memory. And I've always swooned over Rickman as Professor Snape, because what goth girl hasn't? He was one of my favorite Potter characters. Both of their talents will be sorely missed. As reported by the LA Times yesterday, Danny Trejo, a badass genre-favorite who has had roles in films like Machete, From Dusk till Dawn, Grindhouse, and countless others, is opening a taqueria called Trejo's Tacos in Los Angeles in the coming weeks, one which will have VEGAN TACO OPTIONS!! According to the LA Times, Trejo said, "Here, we wanted to include everybody, so we have a great vegan menu and gluten-free menu." Not only is Trejo's Tacos inclusive of vegans, but they also donate anything left over after the restaurant has stopped service to a local homeless shelter! 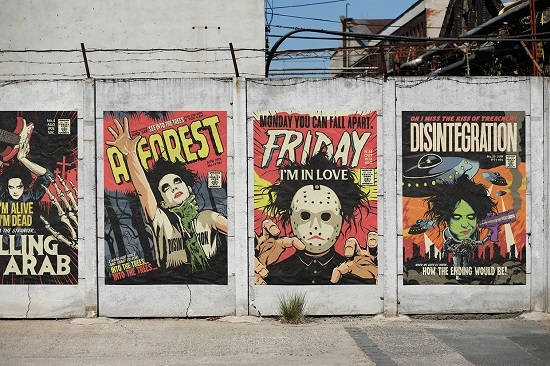 Last week I tweeted about Butcher Billy's fantastic set of artwork featuring Robert Smith of The Cure re-imagined as a comic book style horror villain, complete with bold, colorful fonts filled with ominous Cure lyrics, and I have continued to swoon over these designs and wanted to share them here as well. As a big Cure fan, these playfully dark designs make me squeal for joy! The artist describes his series, officially titled "Tales From The Smith Comic Book Series", as: "Kisses and scares. Hearts and skulls. Giggles and graves. Romance in the shadows. 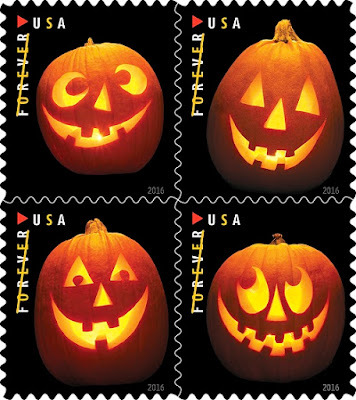 This frightening series of strange tales is a homage to the goth legend who truly taught us love and darkness." How absolutely perfect is that? Check out some of my favorites from the series below, and be sure to visit Butcher Billy's original post. Can you believe I've never dined at Shojin, the premiere vegan sushi restaurant in SoCal?! I can hardly believe it myself! I was finally able to get there for lunch on my birthday last weekend. Shojin is all vegan and offers organic Japanese cuisine. 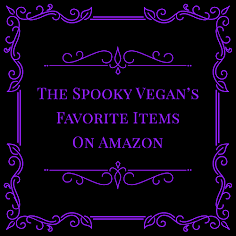 Besides being vegan, many of their items are gluten-free and they can cater to other food allergies as well. It has two locations - the one I visited is in downtown LA, the other is in Culver City. The interesting thing about the one I visited in DTLA is that it is inside a Korean shopping mall! Once we parked in the adjacent parking structure (Shojin will validate for 2 hours, parking gets a bit pricey after that), we wandered past karaoke bars, Korean BBQ places, Daiso, etc. before heading up to the third floor where Shojin is located. Little Pine is a new vegan restaurant in the Silver Lake area of Los Angeles that was recently opened by long-time vegan and animal activist Moby (who also happens to be an award-winning electronic musician and producer). As soon as it opened (way back in November) I've been DYING to go, and decided that my birthday last weekend was the perfect time to dine at Little Pine. Though I was very excited to eat there, I had heard mixed reviews on the restaurant, (though all the dishes I had seen shared on social media looked delicious!). I prepared myself by gathering recommendations from friends who had eaten there previously, scouring Instagram for other pointers, and then excitedly headed there for dinner there last Saturday night. Organix is a small specialty (and mostly vegan) grocery store tucked away in a small strip mall in the Eagle Rock area of Los Angeles. It also happens to have a tiny deli slinging some of the most delicious sandwich and burger creations in Southern California! While I've enjoyed many of their dishes at various vegan festivals and events, this was my first time visiting their actual location. Their deli has a pretty extensive selection of vegan sandwiches, burgers, tacos, burritos, and so on to choose from. Some of their creations include the mouthwatering Puerco sandwich ("marinated, slow-cooked and baked shredded jack fruit, homemade BBQ sauce, homemade slaw, vegan mayo and pickle on ciabatta bread"), the Mac Daddy burger (or vegan Big Mac, with "two vegan housemade beef patties, three sesame buns, vegan cheddar cheese, housemade Thousand Island dressing, grilled onions, lettuce, and pickle"), the Bacon Western Cheeseburger ("housemade vegan beef patty, battered and panko-encrusted onion ring, homemade coconut bacon, vegan mayo and housemade BBQ sauce on a sesame bun"), and many more! This time, though, I only had eyes for their Southern Belle, which is a sandwich with a battered and panko fried vegan chicken patty, mashed potatoes and gravy served on a bun. In case you aren't familiar with Donut Friend, they are a Los Angeles-based donut shop specializing in custom, build-your-own donuts, as well as having many delectable signature donuts to choose from. Most have adorably clever names based on bands, like their Jets to Basil, S'Morrissey, Fudgegazi, etc. Fun fact: The creator of Donut Friend, Mark Trombino, is a multi-platinum music producer, drummer, and recording artist, who has produced, engineered, and mixed tracks for artists including Jimmy Eat World, Blink-182, Finch, Motion City Soundtrack, and All Time Low. As a drummer, he has also recorded and toured with Drive Like Jehu, aMiniature, Night Soil Man, and First Offense. So now you know where all the awesome donut names come from! Donut Friend is a true vegan donut mecca in SoCal. I've been lucky enough to try their donuts on several occasions (at the Vegan Street Fair and when generous friends decided to share their Donut Friend haul), but I've never actually been to their storefront in Highland Park! Shocking, I know!! Well, the Saturday after Christmas that all changed, as I set out on a vegan food adventure! I've already talked about my first stop that day, at Ramen Hood in DTLA, and my second stop was none other than Donut Friend (and my third stop was Organix).